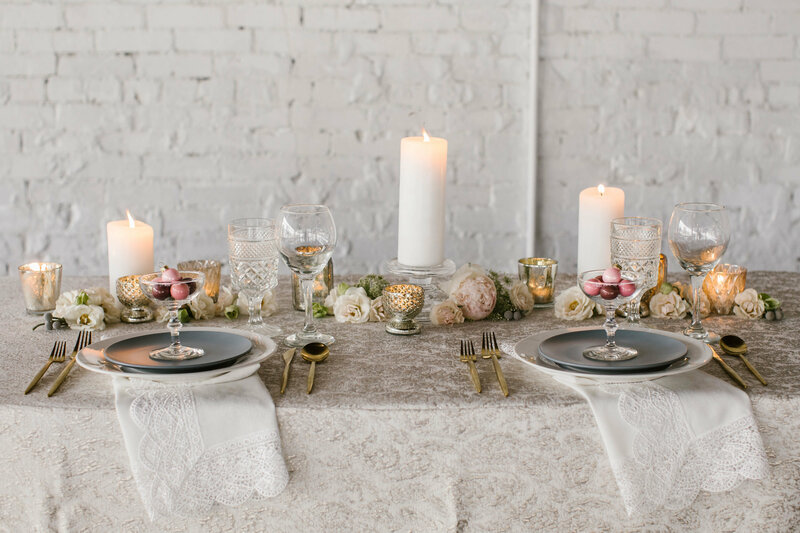 We’re continuing our 12 Days of Christmas Tabletops with a more feminine style, “9 Ladies Dancing”. 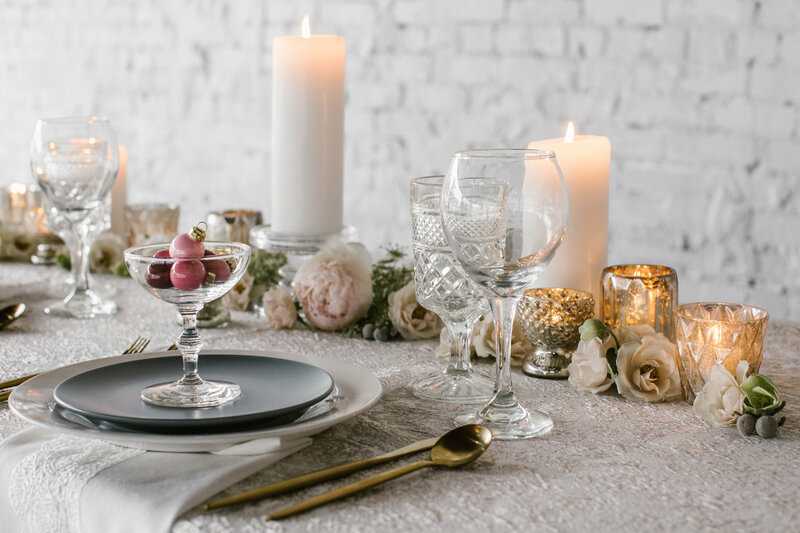 We’ve seen elegant, rustic, masculine, and now a romantic, feminine style. 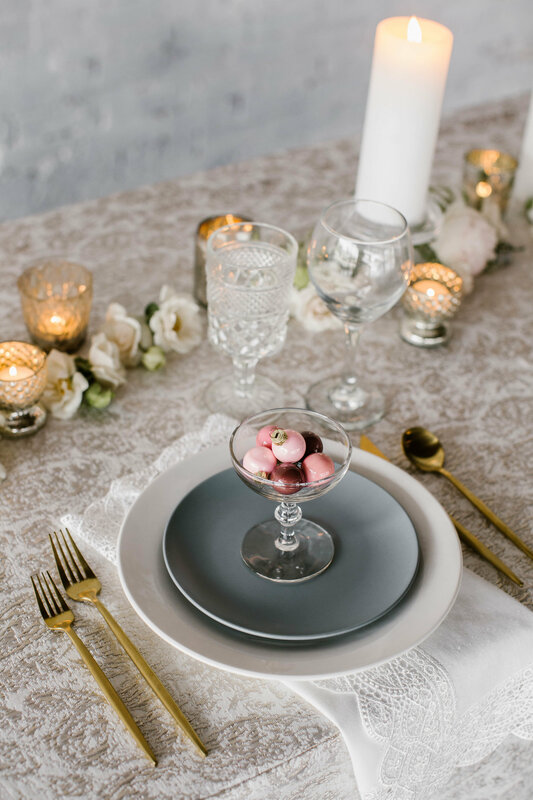 Lace details, soft colors, simple white blooms tucked around flickering candles- we love the simplicity and elegance of this style. 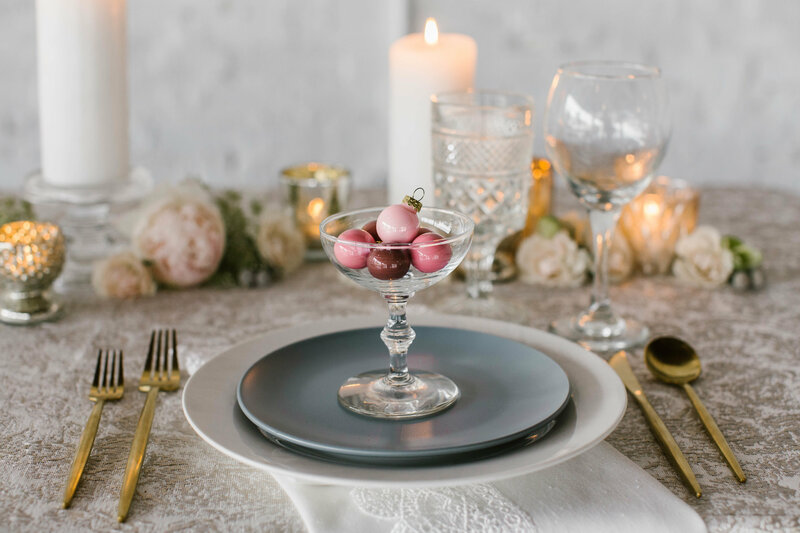 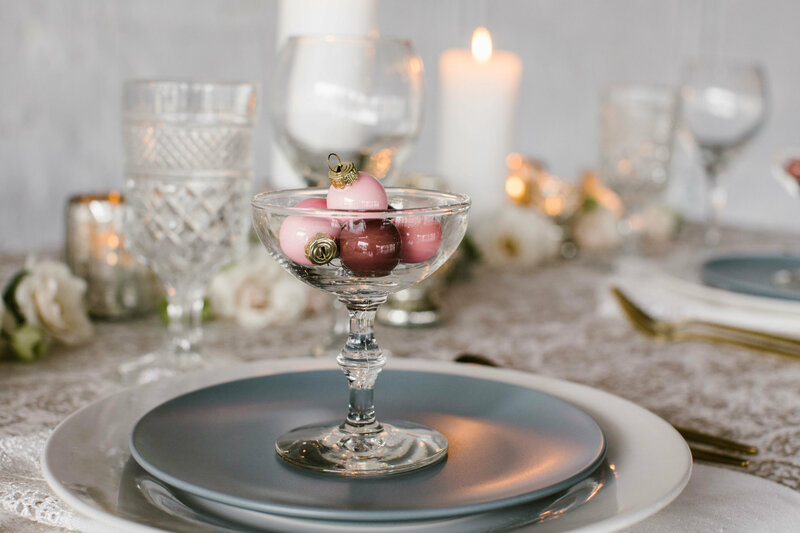 Enjoy the beautiful details crafted by Ashton Events and Treasury Rentals as they were captured by Jenna Nicole Photography.